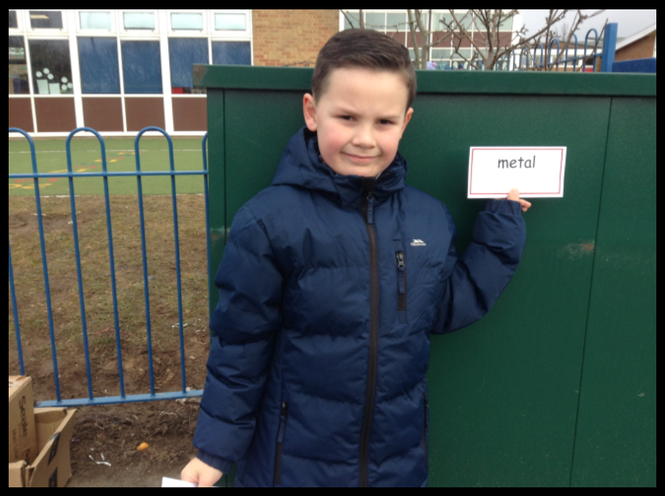 Miss Hunt’s class had great fun this term when we went on a materials hunt. 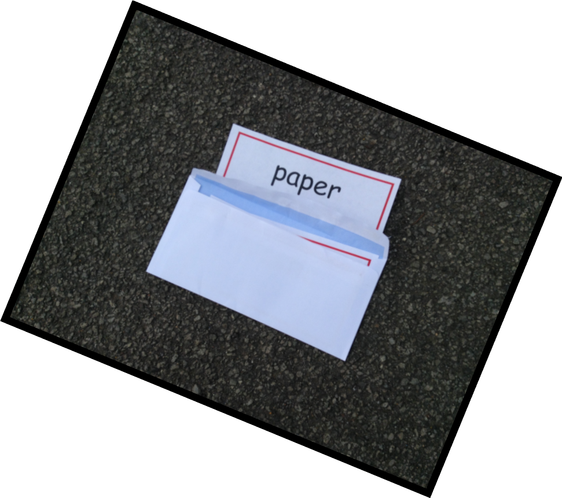 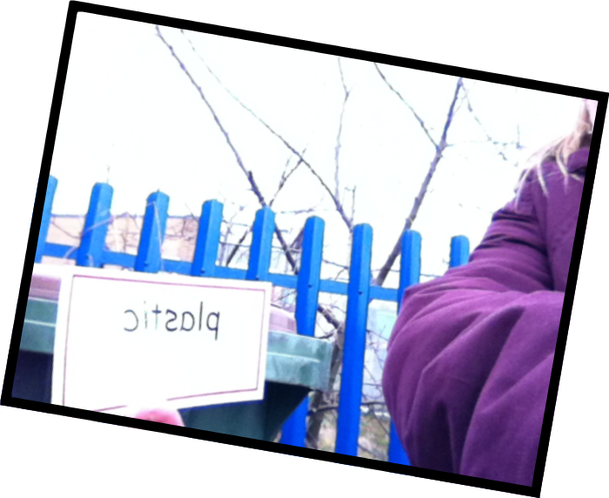 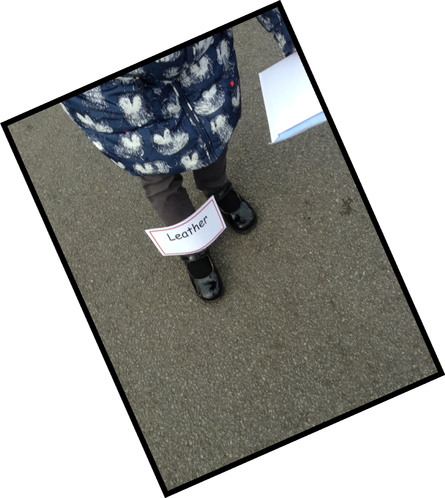 We were given an envelope containing the names of different materials and had to find them within the school grounds. 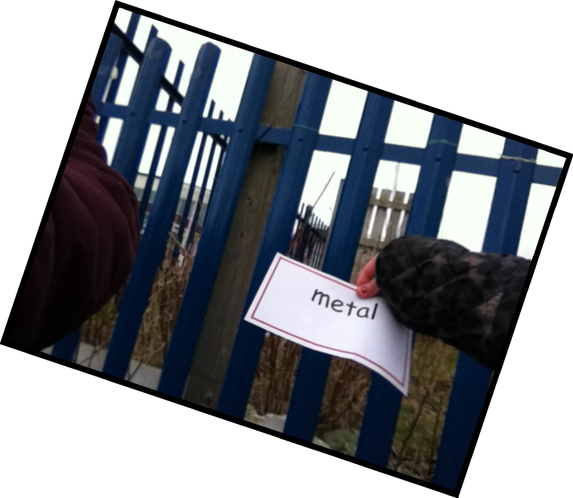 We worked with a partner and once we had found the materials, our partner had to take a photo using the iPods. 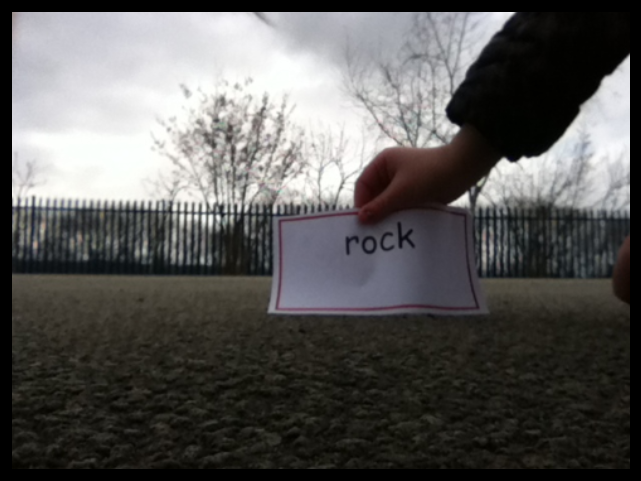 The trickiest material to find was clay as we all began by searching for a soft, grey material. 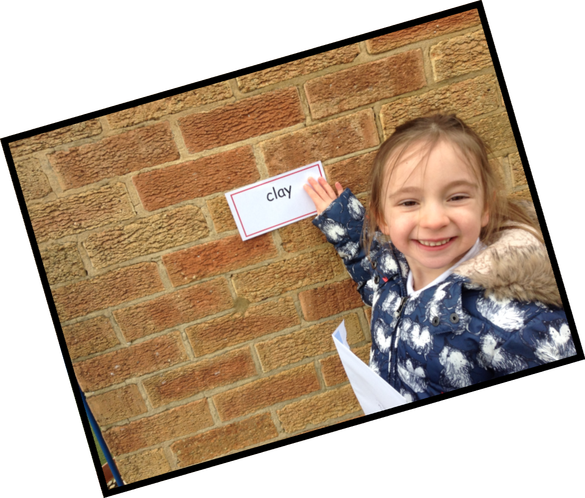 Luckily, one of our budding young Scientists realised that bricks were made of clay!